Rough week in the studio this week so I thought I would share something else. 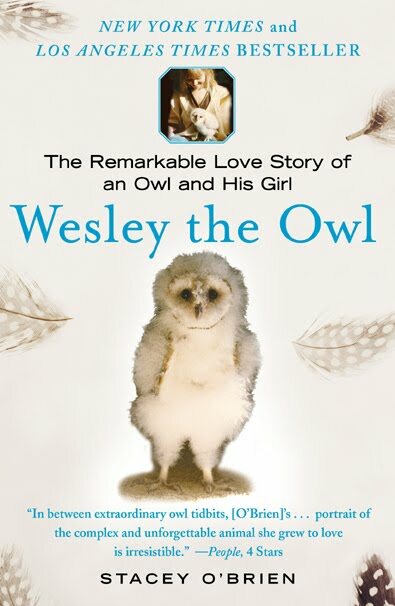 The author, who works for Cal tech, describes the emotional sensitivity of owls. One example she describes is the attachment owls feel for their mates. Upon the death of its mate, owls sometimes turn away, refuse to eat, and die. I'd heard something similar to this with other species, but another example resonated with me. An owl living in their lab got its foot caught in a ventilation fan. The damage to the foot wasn't too great, the owl was well taken care of and with time would heal well, but the experience was so upsetting to the owl, that he simply turned his face to the wall and eventually died. The owl was just too sensitive. Why couldn't he snap out of it? Other owls had endured much worse experiences. He had a good life, was well taken care of. Ridiculous comments to make, right? 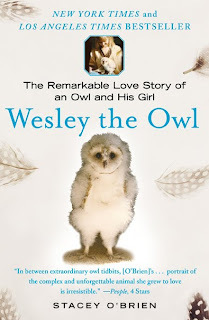 The owl was exhibiting behavior that was inherent in his very being. He could not change what he was. Human beings, of course, are capable of greater reasoning ability than owls. But I've been thinking about the connection to sensitive people, people who just seem to feel things more than other people. If owls are capable of this kind of emotional stress, surely human beings can suffer as well, and on even a greater level. And all of the well meaning attempts by other people to help them to "snap out of it", are at best as ridiculous as my comments above and at worst destructive. Our society sees outgoing, even aggressive personalities in a positive light. Sensitive introverts are often not understood or well thought of. The world can be jarring, loud, unfair, incredibly painful. The reality is that some people are just overwhelmed by it all and when faced by upsetting circumstances, turn their faces to the wall in distress. I've thought about how you help someone who has turned to the wall. I know it doesn't help to tell them to think on the bright side or to remind them of all the positives in their lives. I think of a dear friend who when hearing the sound of my voice one time during the school year, got in the car and drove 15 hours to just come along beside me for awhile. She didn't "fix" anything. She was just there. I am especially incredibly thankful for my husband, my lifelong partner, who has always come along side me when I'm turned to the wall, never judging or offering recriminations. As painful as it can be to be a sensitive person, I know that that very sensitivity is what is the essence of creative vision. It's a double edged sword. A human creature born, abnormally, inhumanly sensitive. a friend is a lover, a lover is a god, and failure is death. his very breath is cut off from him. he is not really alive unless he is creating." Thank you, my friend. You are cherished beyond measure.